Indonesia’s ride-hailing giant Gojek has been in the fire lately for its recent spate of unfulfilled ride charges in Singapore. In a move that aims to win over customers, Gojek has sealed a partnership with Carousell to entice its users to get on board its ride-hailing service. Starting from today, Carousell users will receive $13 when they download the Gojek app via the Gojek ads on Carousell’s app or website, on top of the existing 2 x $5 off discount codes offered to new riders by Gojek. From January 24 to 31, new riders will receive an additional $3 voucher, while those who sign up from January 31 to March 6 will receive an additional $2 voucher. The voucher will be issued to the user within 24 hours after account registration. The vouchers are valid for 14 days and will be automatically applied when users book a trip. 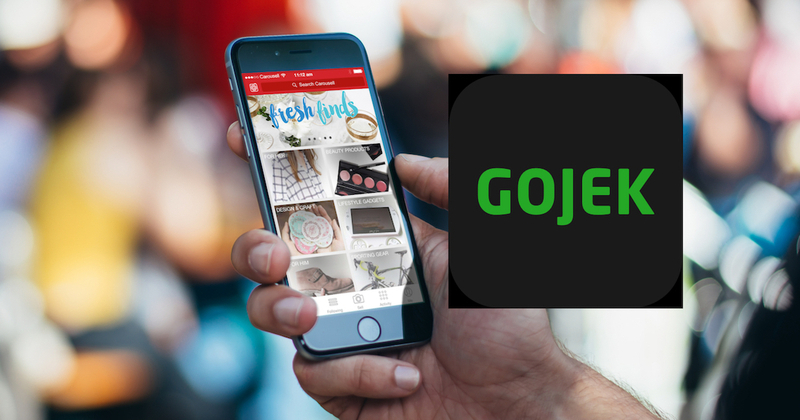 “At Gojek, we look to partner with local brands that align with our mission of making the everyday lives of people better. As Singapore’s most well-known consumer-to-consumer market, Carousell solves a pain point for consumers by making the exchange of goods and services more accessible,” said Raditya Wibowo, Gojek’s Global Head of Transport.